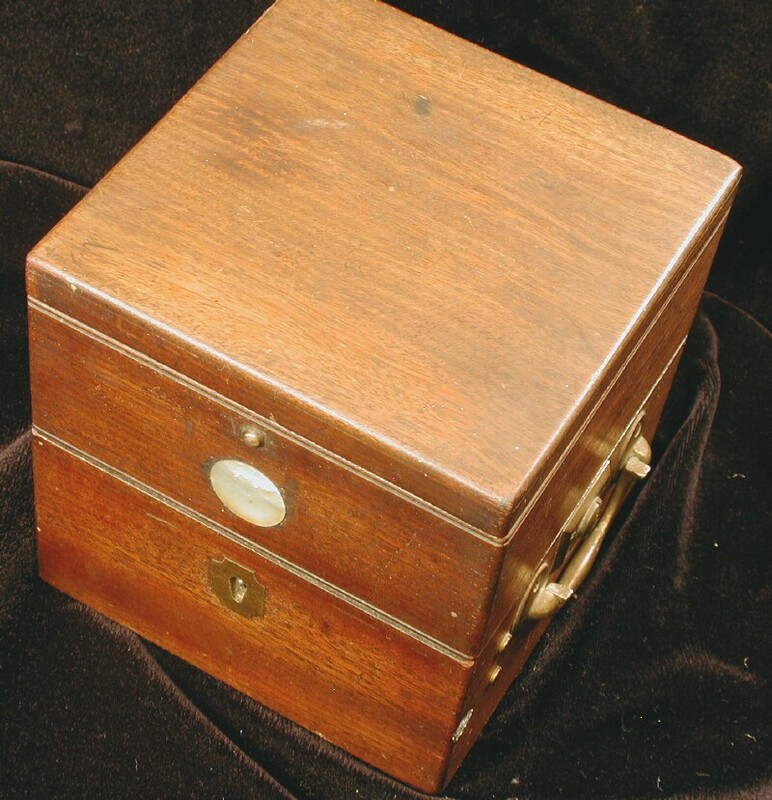 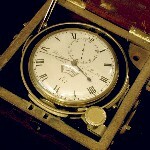 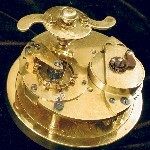 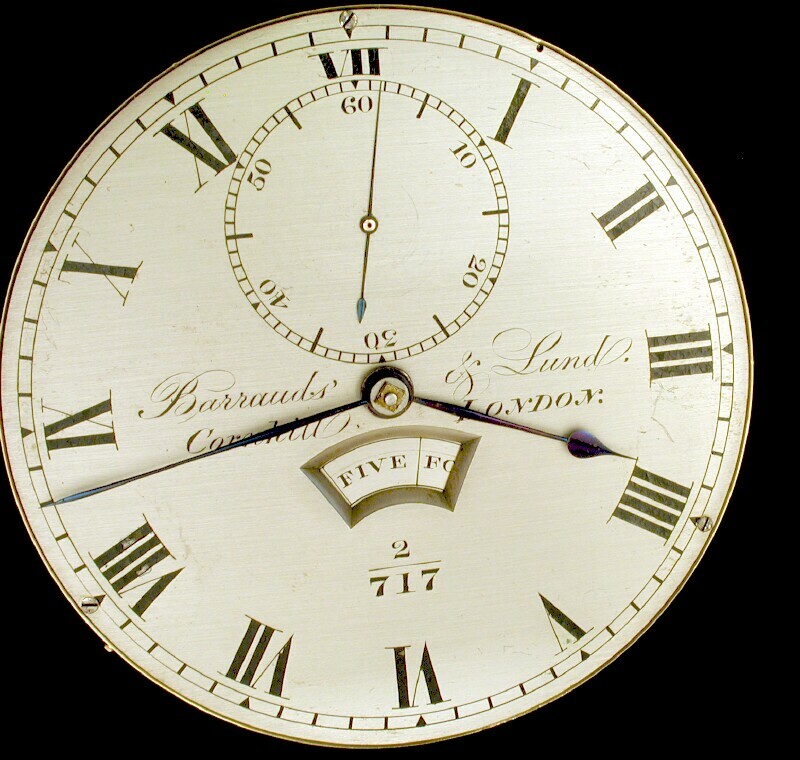 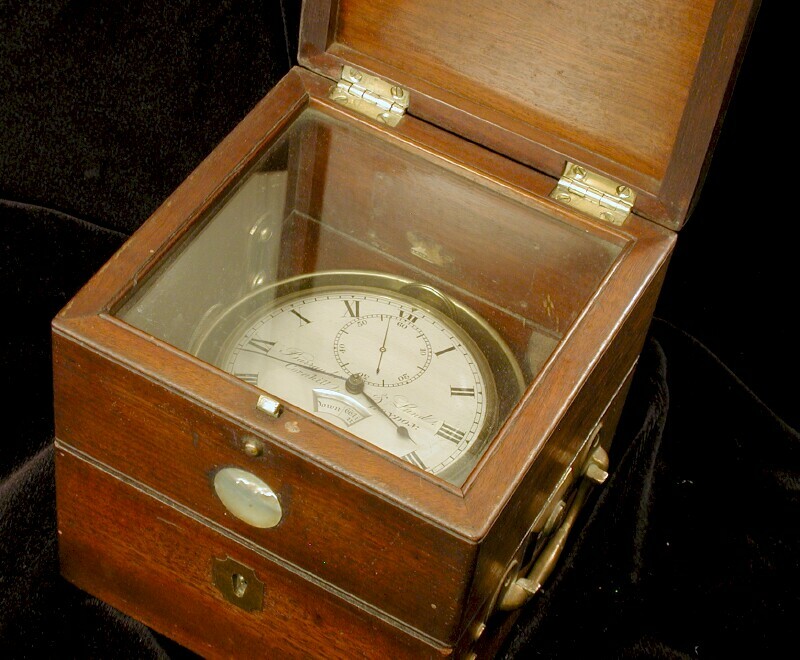 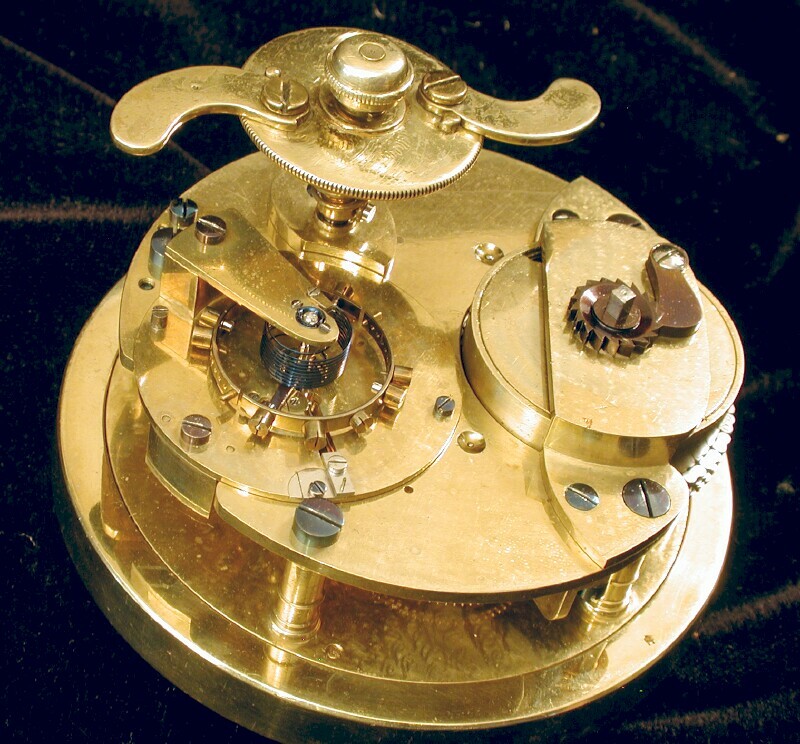 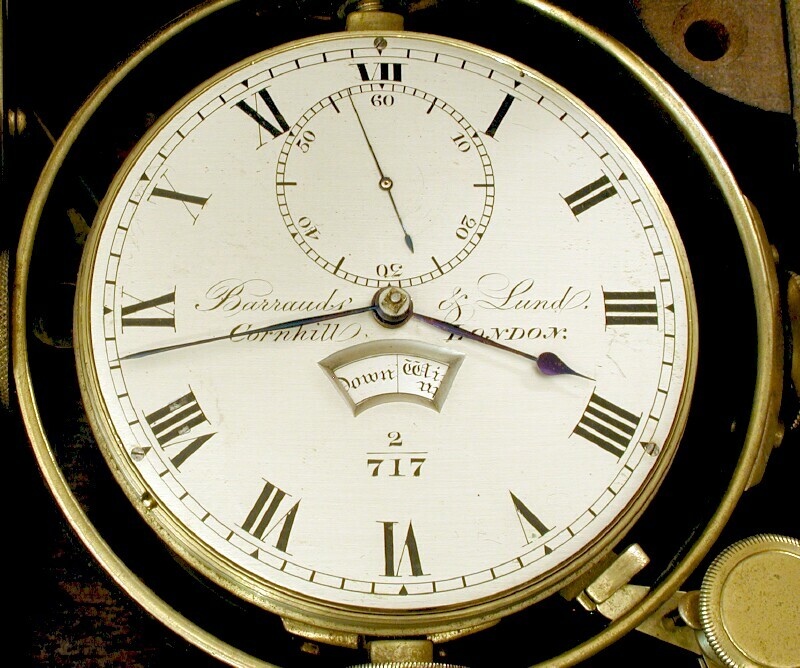 This Barraud 8-day chronometer is one of a series produced from ca 1845 to 1855. 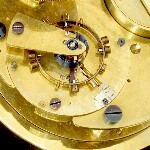 They are miniature in size for an 8 day. 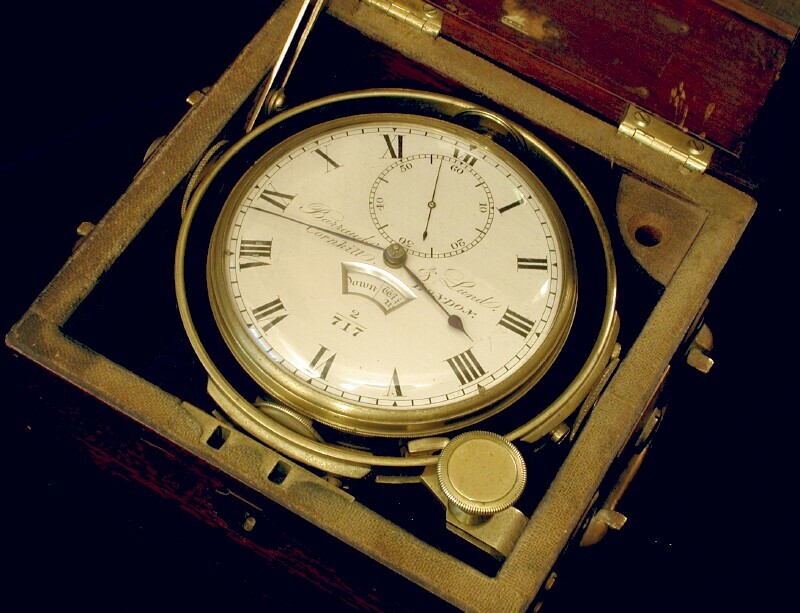 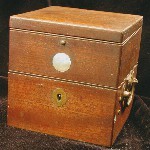 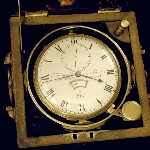 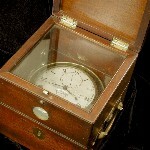 The box is about the same size as the 30 hour chronometers that appeared around the same time. 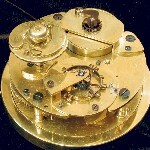 This piece also has Barraud's integral winder. 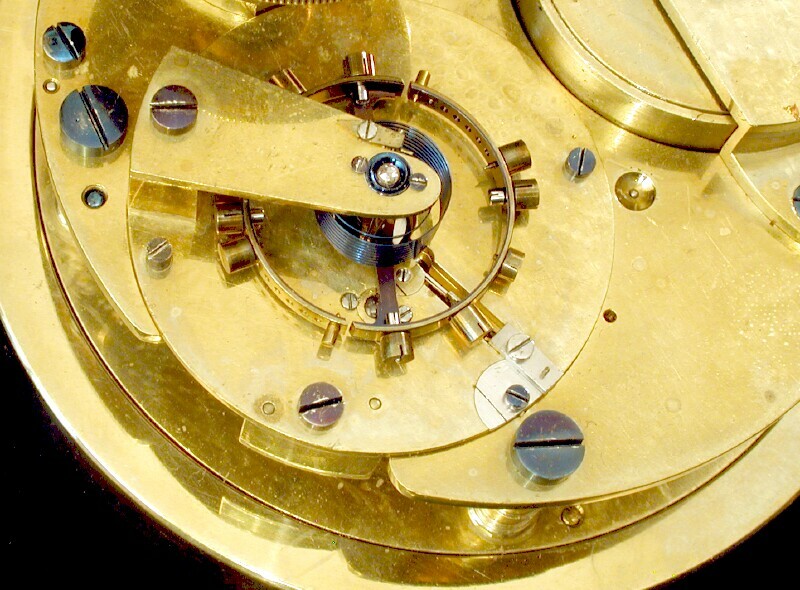 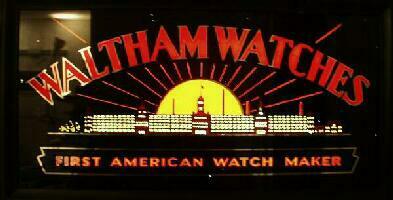 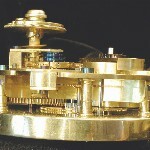 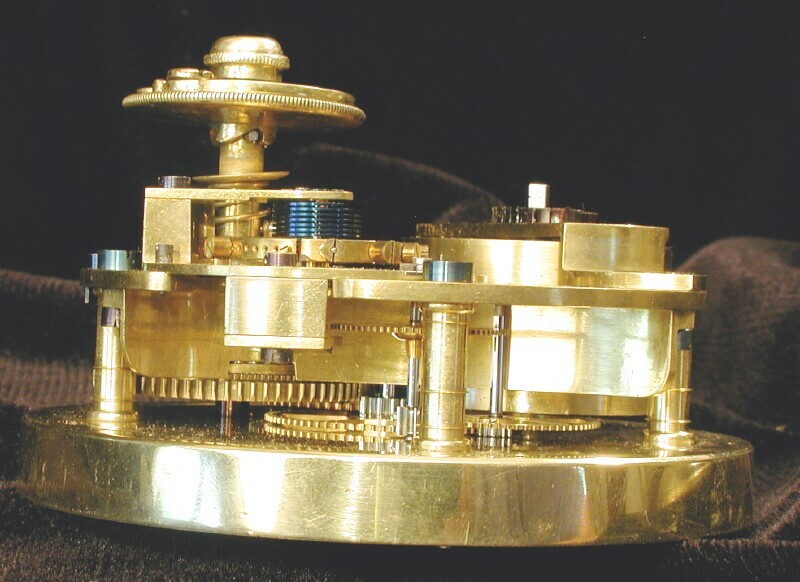 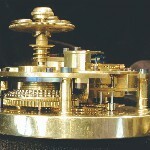 This was a critical feature because the machine winds in the opposite direction of other chronometers. 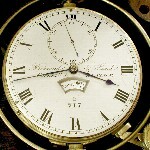 It also has the attractive sector window up/down display that is characteristic of Barraud chronometers. 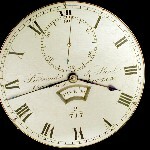 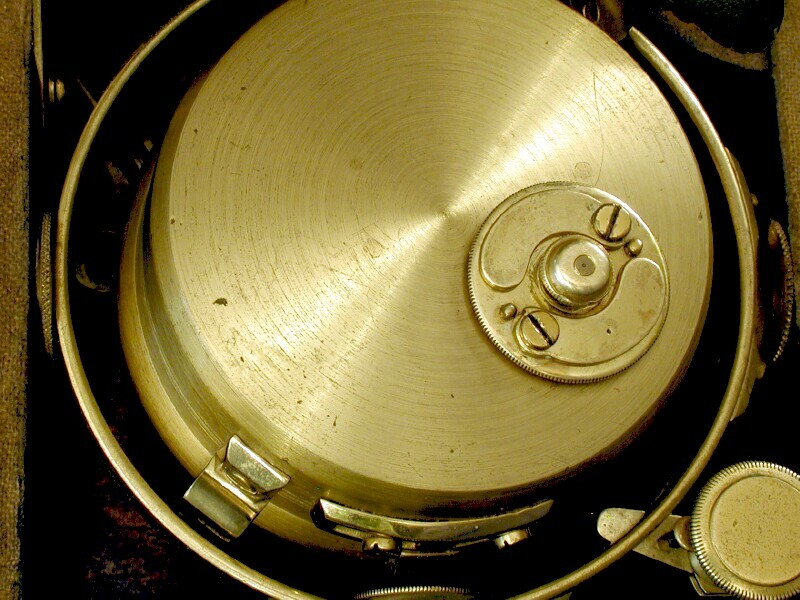 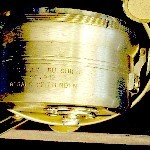 The chronometer was apparently enlisted in the U.S. war effort as shown by the marking on the side of the tub. 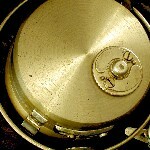 It is possible that the tub was replaced at that time also, but the winder gives some credence to the tub being original. 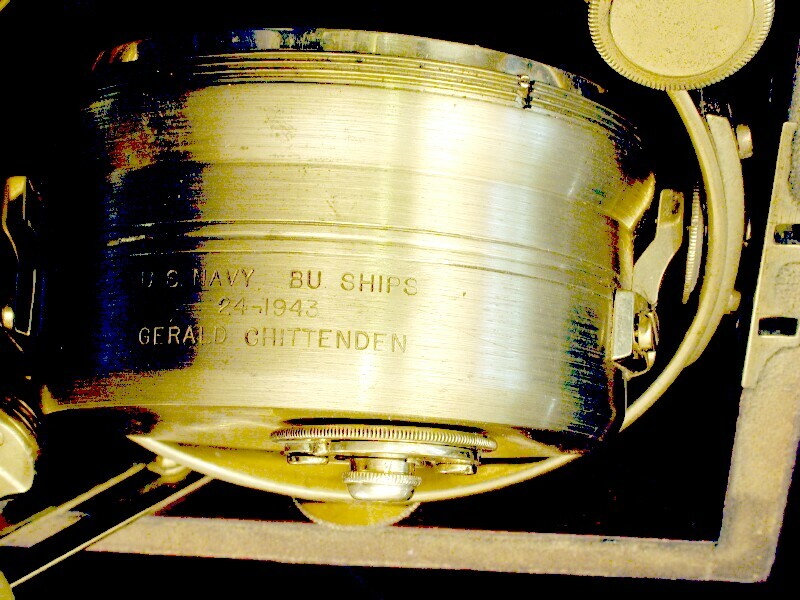 I don't know any history on the Gerald Chittenden. 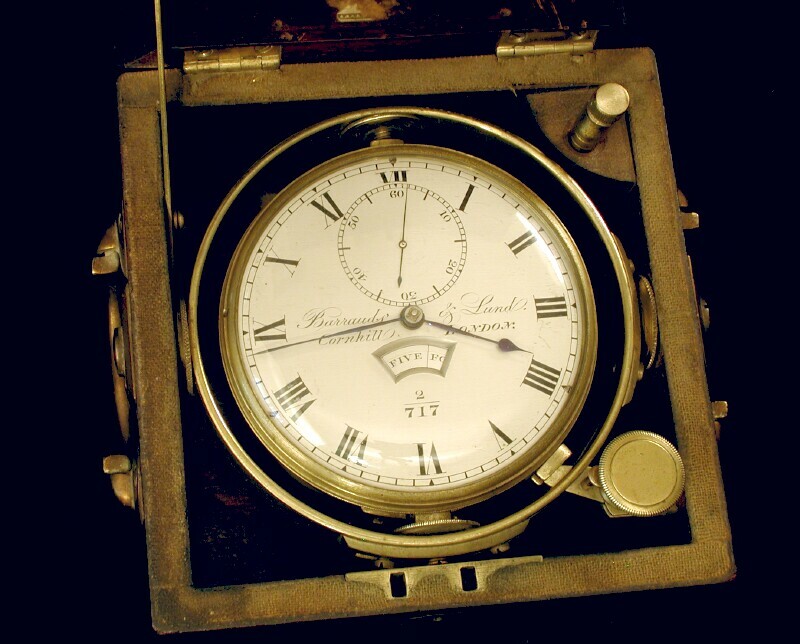 It may have been a merchant marine vessel. 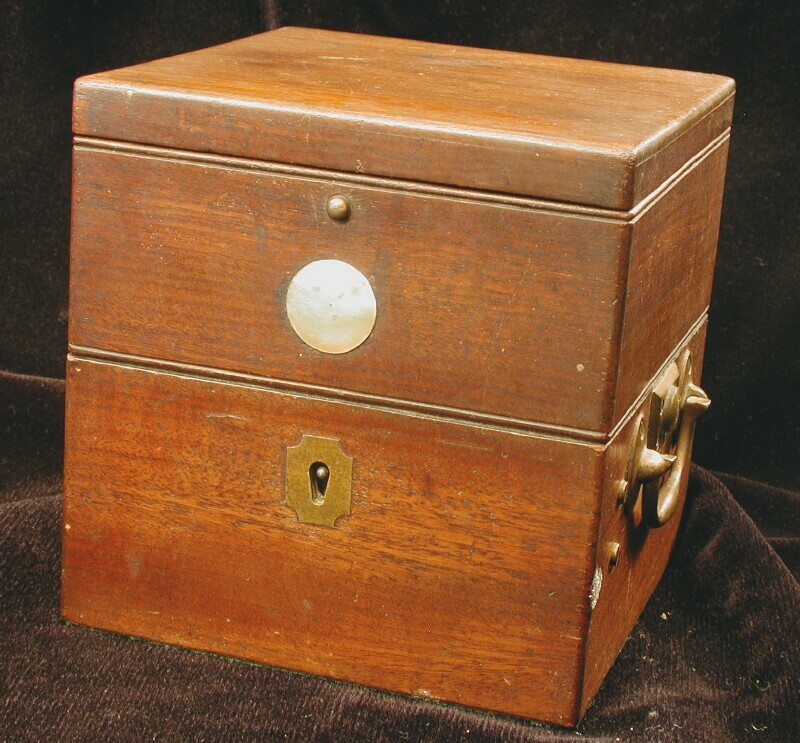 Gerald Chittenden was a writer who got a second prize in the O'Henry awards in 1921 for his short story "The Victim of His Vision" that was published in the May issue of Scribner's Magazine. 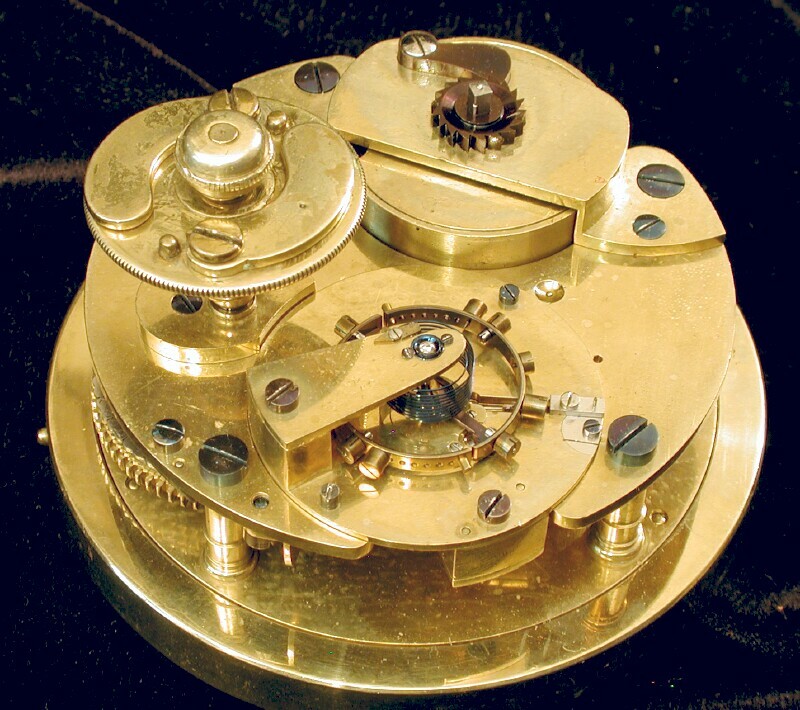 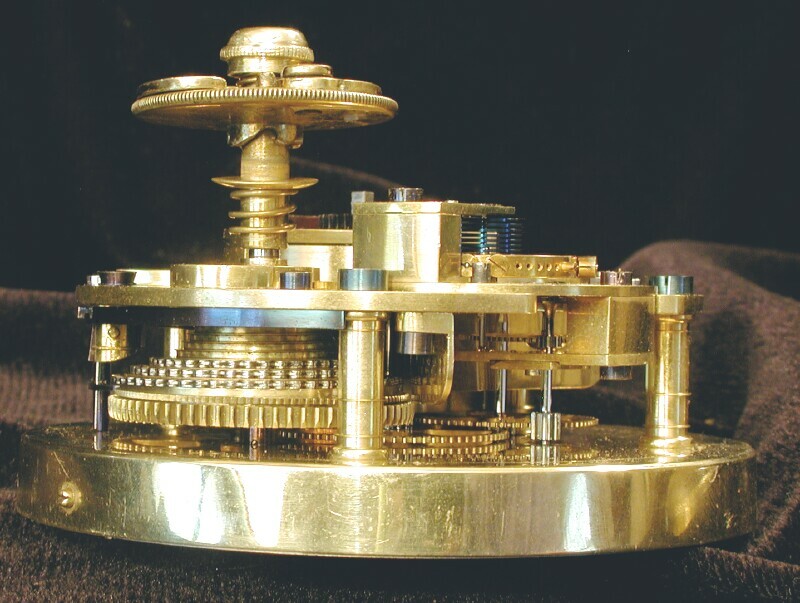 Fascinating example of a very small 8 day chronometer.